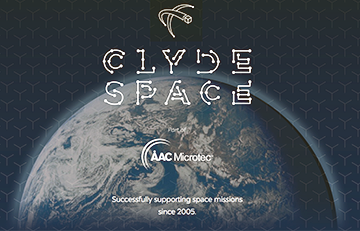 Orbital Micro Systems (OMS) has delivered their first ever commercially owned and operated, space-based, passive microwave radiometer for atmospheric observation to Clyde Space in Glasgow, Scotland, for satellite integration. Employing proven technology used in many larger weather monitoring platforms, such as the Advanced Technology Microwave Sounder (ATMS) aboard the Joint Polar Satellite System, the innovative OMS radiometer will deliver highly-accurate temperature, humidity, and precipitation data critical for business decisions at a fraction of the cost of heritage government programs. The mission is part of the In-Orbit Demonstrator (IOD) Program, funded by Innovate UK and managed by the Satellite Applications Catapult. OMS is on track to launch six to eight satellites in 2019 to establish its Global Environmental Monitoring System (GEMS) constellation. The payload, consisting of a 10x10x15 cm. sized instrument in a 3U cubesat, will be launched and put into LEO via the NanoRacks CubeSat Deployer (NRCSD) on the International Space Station (SS) — via NanoRacks’ Space Act Agreement with NASA’s U.S. National Lab. The launch is planned for early 2019. OMS established its UK-based organization under the guidance of the UK Global Entrepreneur Program in 2017. The expansion has enabled the company to accelerate its business plans through projects such as the IOD and other UK-funded initiatives. Michael Hurowitz, CTO for OMS, said that the company's team is delighted to reach this historic milestone, which could not have achieved without the invaluable contributions from the firm's partners at Clyde Space and Satellite Applications Catapult, in addition to the diligent efforts by OMS' science and engineering teams. The IOD mission is the first member of the GEMS constellation that will pave the way for never-before-possible temporal coverage of global weather conditions. 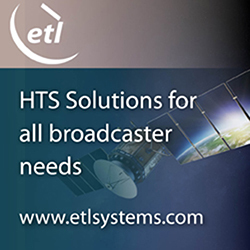 In addition, the OMS data scientists at the International Center for Earth Data (ICED) are developing advanced analytics to integrate the data generated from the firm's satellites with public and private data streams that will provide a much more complete and accurate view of weather conditions in near real time.